I am combining the Boutique Workshop Your Way with the deluxe version of the workshop. I decided to use the cutting guidelines and layouts from the regular workshop so that my club ladies that want to put together those layouts have the pages they can examine closely. 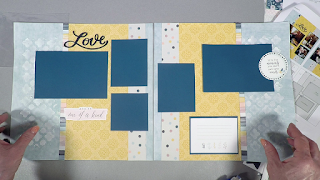 I have other ladies that are anxious to learn more techniques and want a more complicated, detailed scrapbook page. This also pushes me to use things that are new to me, like the texture paste, and increase my skills. I've actually discovered I enjoy using the texture paste and now we can make our own stencils that can be saved and reused. Very Cool!! 1. 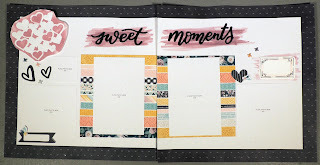 Sweet Moments layout uses the Sugarplum shimmer brush to add a color wash for the title. 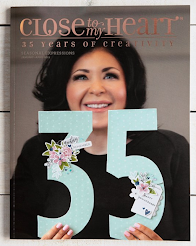 Upper right corner is a cutout stencil of an Artistry cartridge heart cluster (p. 5, 4") with the texture paste colorized with the Sugarplum shimmer brush squeezed into the paste and mixed. 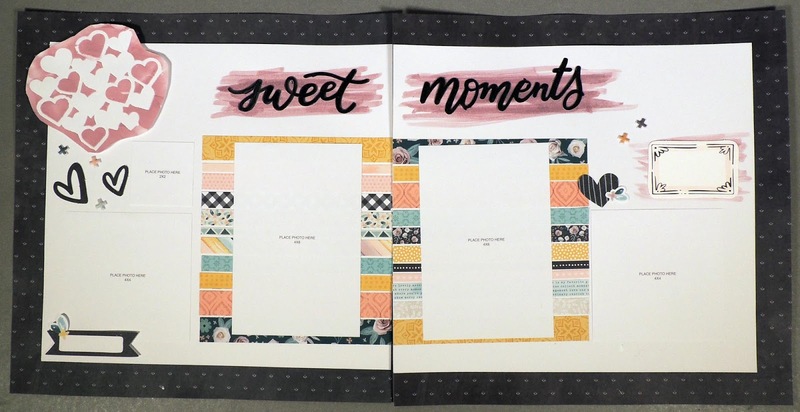 I also added sparkle and pop to the flat black "sweet moments" words with the black shimmer brush. 2. Love layout also has the word Love enhanced by brushing it with the black shimmer brush. Along both outside edges of each layout, is the texture paste on the directly on the background pages. The stencil was also made using the Artistry cartridge (p.46, 5 1/2"). 3. 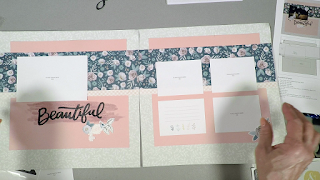 The Beautiful layout is a simple addition of a Sugarplum shimmer brush wash behind the title "Beautiful" along with the addition of the black shimmer brush on the punch out letters from the complement package included in the workshop kit. My YouTube video shows how I put these pages together. I have to say I enjoyed adding dimension to my pages. I'll add more to layout #3 because it still looks a little simple to me. Thanks for stopping by. 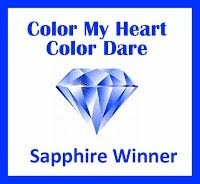 Please leave a comment or question.